We know we are a little late to the party when it comes to the Dimond Marquise. But until IMFL this past fall, we hadn’t had a chance to really get to know one. And even then, we cannot deny that we were a little preoccupied with our own pre-race jitters when we stopped by their tent to chat with them. But that didn’t stop us from being seriously impressed with the bike and hoping that, sometime in 2018, we could get some real saddle time with one. While design refinement was going on, Dimond started renovation to create a state-of-the-art carbon fiber manufacturing facility in the United States, now branded the Dimond Mine. Today, all Dimonds (Marquise, Brilliant, and X-Cut) are manufactured in Des Moines, Iowa. And as they tell us, their engineers and the people doing the carbon all walk in the same door at the start of the morning. The Marquise started from customer feedback on the Brilliant. Customers wanted to keep the things that make the Brilliant great – like the fact that you can remove the beam to create a hassle-free travel experience. What they also wanted was easily accessible places to store nutrition, and a flat kit and tool storage area. The LunchBox (as they named it) is an easily accessible 700mL of dry storage that can easily fit 1,500 calories. The pop-up magnetic latch on the Lunchbox allows complete access inside of the box. Those times you have grabbed the wrong gel as you reach around inside your bento box will be a thing of the past with the large opening the LunchBox provides. At IMFL, we played with the LunchBox a little and the magnetic enclosure really impressed us. It was strong enough that we doubted even a solid pothole would knock it open, but still easily came open when we attempted to grab something. This additional storage wasn’t the only change that the Marquise brings. 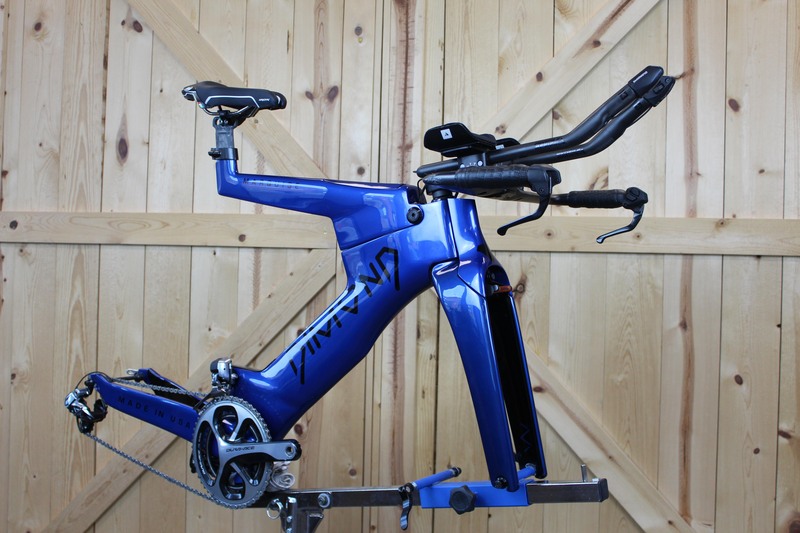 By optimizing frame aerodynamics to interact with a rider, Dimond was able to save an average of 100g of drag across the yaw sweep. Some of this is specifically due to the addition of the storage compartment and, at the same time, adjusting the airfoil shapes around the crank. 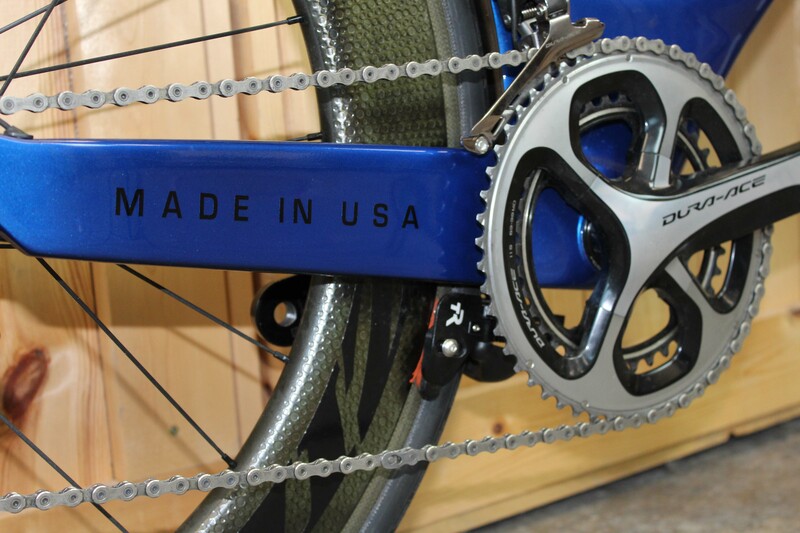 The crank arms and rider’s feet are moving at a relatively high speed in close proximity to the frame and the front derailleur, which inevitably causes high turbulence in the flow. 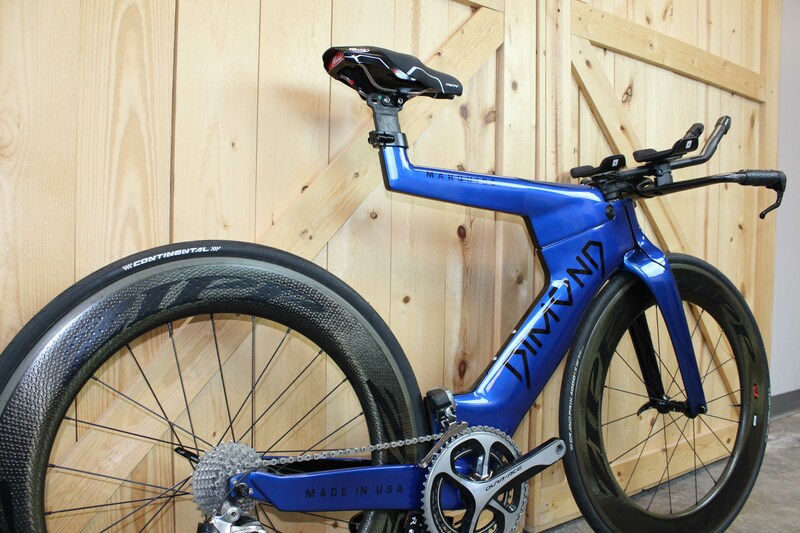 With the addition of the TOTES, Dimond was able to provide a smoother transition to the flow over the rear wheel. Moving the front of the beam up towards the stem also offered aerodynamic advantages and made room for more storage in the beam. Reworking the chainstay shape helped push more air in the right directions as well. One of the concerns people often feel when looking at a beam bike is how it really handles the weight of the rider and the punishment of the road. 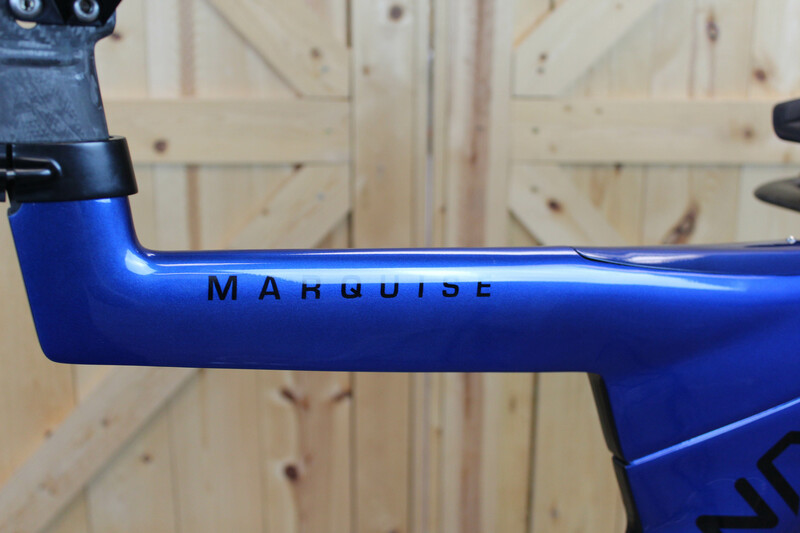 The Marquise has passed all safety standards defined by the ISO for a bicycle frame and fork. Dimond has also developed two custom tests for the beam above and beyond the ISO standards . 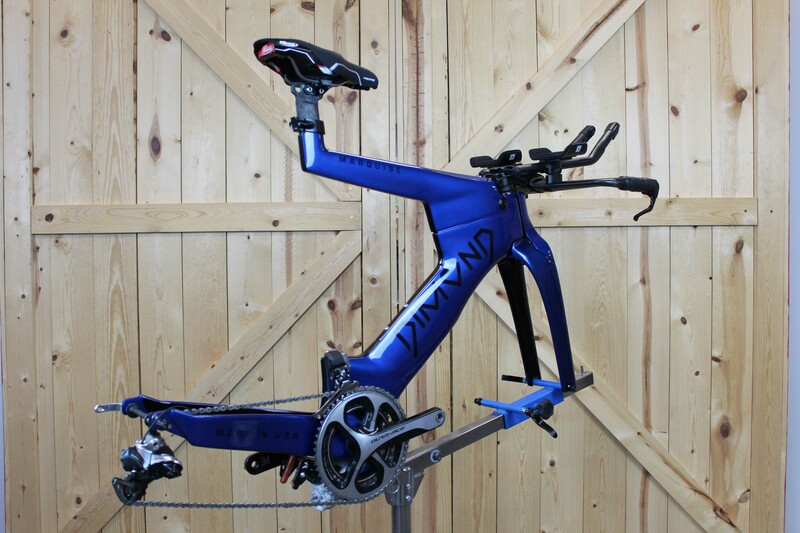 Because Dimond builds all bikes in-house and to spec, custom paint is no cost extra. You can choose from three custom paint templates and hundreds of colors; you can even personalize it with your name for free. For those wanting a bit more, there are premium templates and access to airbrush artists for an upgraded fee. 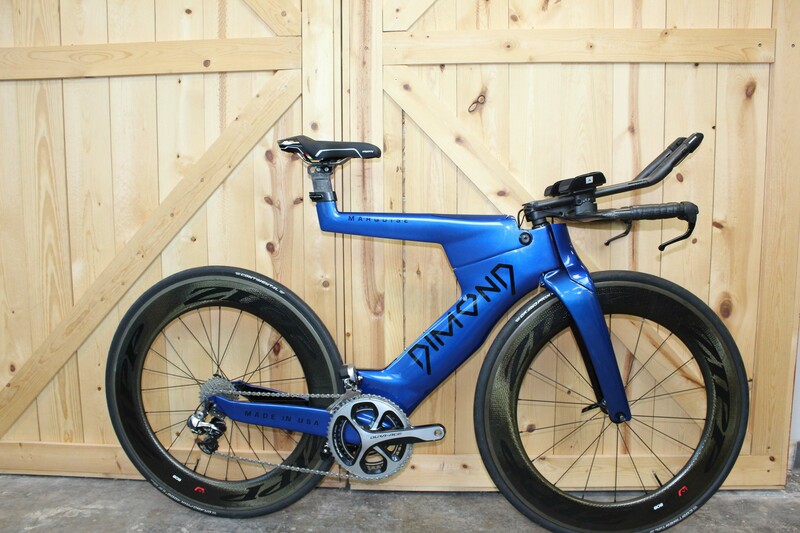 The pictures throughout this article are of a custom build up that Dimond has done. Featuring Zipp Firecrest, Profile Design Aeria Ultimate, and Dura Ace groupset. TriRig brakes are used in this build, but a Shimano Ultegra and Dura Ace direct mount will also be available as the rear brake option for their respective builds. Selle Italia Iron Flow saddle is the standard choice and is depicted here. The scheme that is shown here is standard – base color and text color. Dimond customers may select any two colors for this and other stock schemes, and Dimond will also consult with a customer for an original idea. All logos are painted, there are no decals under the clear coat. We really…. really want some long-term seat time on a Marquise. First to put a beam bike through its paces and have a chance to put some of the concerns about a wiggly ride to rest. We know what you are thinking when you look at a bike like this, and we know only a long-term review can really answer the questions you have. But secondly, we know the team from Des Moines has put serious thought (and pride) into every square inch of carbon in this bike. And when you get a chance to ride something built with so much passion, you know it’s going to be special. The good news is that Dimond is working to get us one to get to know better. So keep an eye out on Twitter, Facebook, or Instagram to see when one makes it to AeroGeeks HQ. And be sure to let us know of any questions you might have in the comments below so we can incorporate it into our review. It is aero, but could you quantify the comfort provided by the beam for a rider? 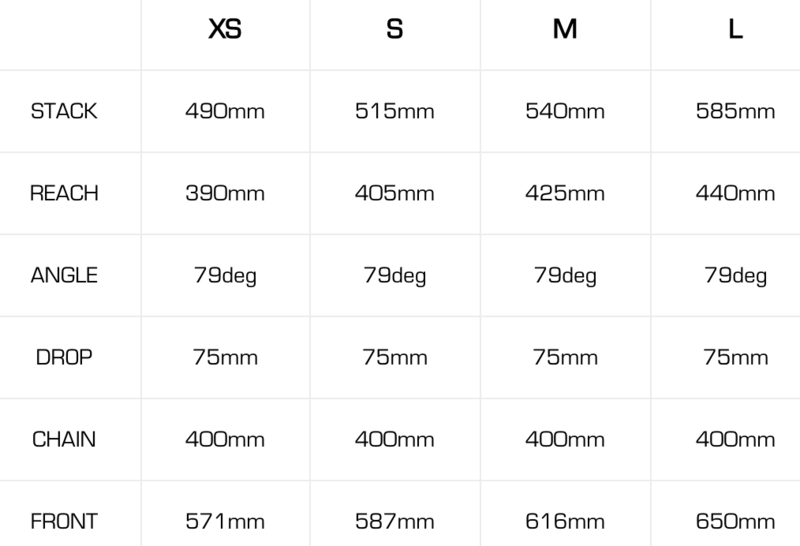 Maybe compare it to another beam bike such as the Titanflex or Trek madone isospeed suspension. Hi DJ – thanks for reading. Unfortunately while we took a look at it we still haven’t had any saddle time to share feedback on. Oh man I would LOVE to score a ride on one of these! It’s certainly divided opinion. I’d also love to throw a set of drops on one and rock up to my local club ride, just for kicks!